I recently found this interesting article on IPS( indoor positioning system) on net, I thought of sharing with you all. 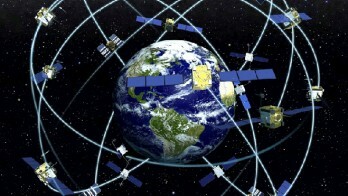 We all know about GPS( global positioning system) which navigates us in outdoor spaces. GPS has made our everyday commute easy by providing us shortest path to reach any place since many years. 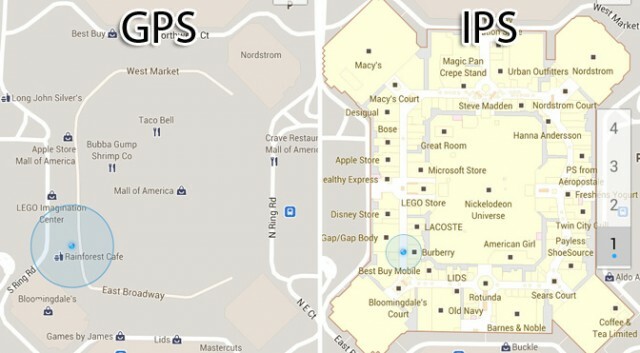 Now think about IPS( indoor positioning system which can navigate us in large indoor spaces such as airport, malls etc. Last year, Google map for Android began introducing floor plans of malls, airport and other large commercial areas. Even Nokia is one step ahead of it and they are using actual 3d models to navigate inside the buildings. Last week, Broadcom released a new chip that supports IPS, which will soon be out in market with smartphones. Now days mostly every buildings are equipped with Wifi, so Google approach tracks you via WiFi- it knows where the Wifi hotspot are in the given building and through signal strength triangulation it can roughly work out where you are. Nokia works with Bluetooth when comes to IPS. The Broadcom chip supports IPS through Wifi, Bluetooth and Even NFC. Furthermore this chip also ties in with other sensors, such as a phone’s gyroscope, magnetometer, accelerometer and altimeter. It takes note of your entry point (via GPS), and then count your steps (accelerometer), direction (gyroscope), and Altitude (altimeter). The ultimate result will be hassle free indoor navigation with in the building. There are many applications of IPS which can be useful in daily routine like linking your real life analytics to other streams of data, such as social graphs and payment systems. For example, IPS could be used to create beautiful heatmaps of where you spend money; you could even play it back in real time and watch your avatar as it bounces around a Google Map, first to Starbucks, then to the train ticket machine, then to the office vending machine, and so on. If IPS technologies can be similarly used in case of any emergency then it could be more useful for policemen, firefighters and emergency service crew.